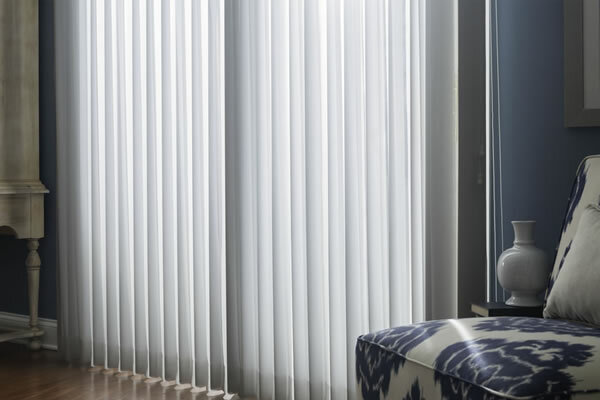 Vertical Blinds in fabric or vinyl vanes create a sophisticated top-to-bottom solution. 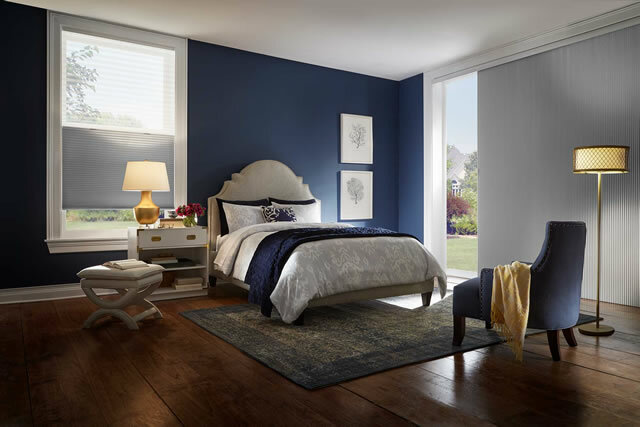 Contemporary colors and upscale patterns provide an artful accent to the landscape that lies beyond your window. 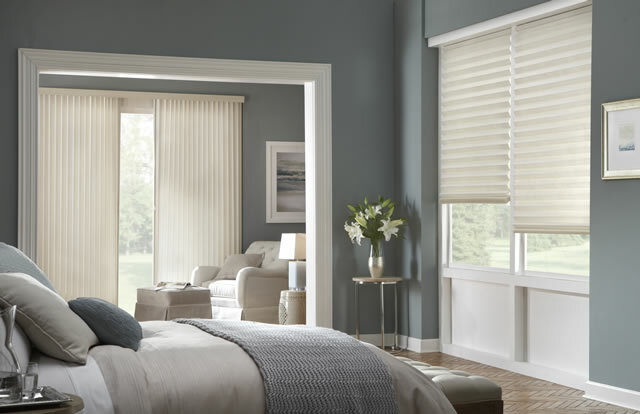 Make a bold color statement, coordinate with an existing color in your home décor, or pair vertical blinds with matching Graber 2” Vinyl Horizontal Blinds for a cohesive look throughout your home. Choose from an extensive collection of designer-inspired fabrics, in light-filtering or room-darkening opacities. Create a traditional look that combines linear beauty, functional charm, and long-lasting appeal. Opt for simply curved crown vanes or S-shaped vanes that more closely imitate the flow of fabric. 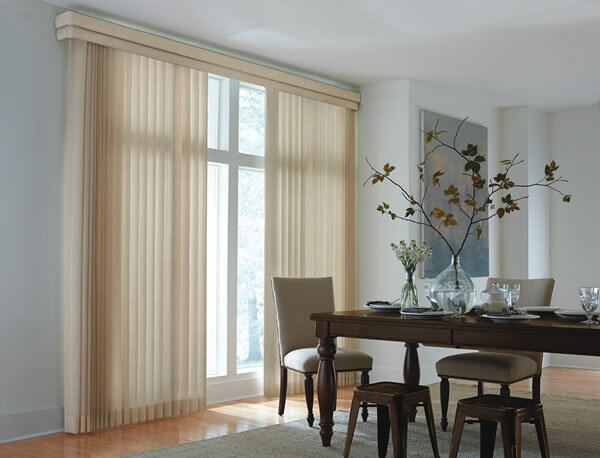 Sheer vertical blinds combine the practicality of easy light control with the flowing appearance of drapery. 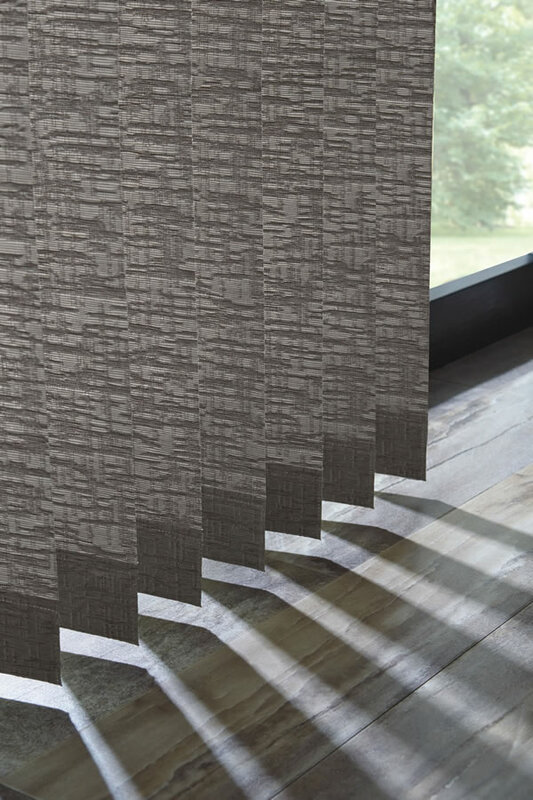 Vinyl vanes draped in sheer fabric let in softly diffused light when they’re rotated open.